There’s no rest for the weary. Panthers never slow down not even in the dog days of summer. Campus has been brimming with activity: students hitting the books for Summer A; recent high school grads touring our facilities; and countless of events. 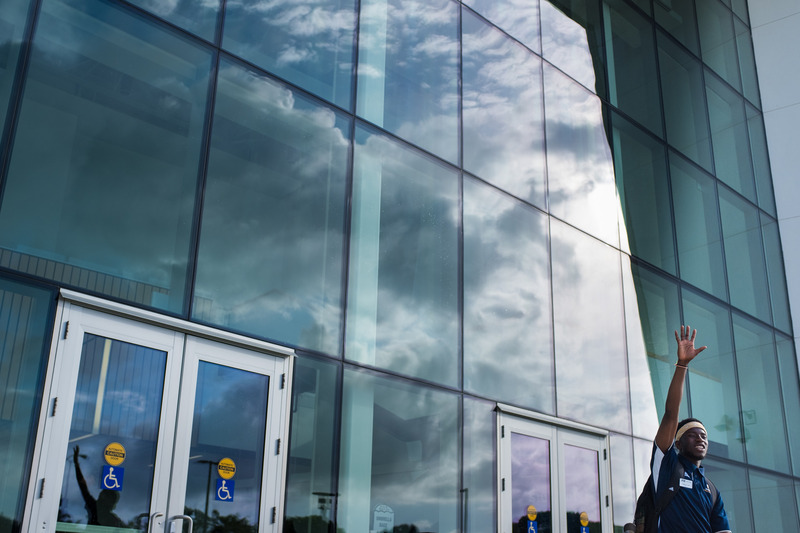 Here are just a few of our favorite moments from last month, as captured by FIU photographers Ben Guzman, Carl Frederick-Francois and Eduardo Merille. In front of the Student Academic Success Center (SAAC), Peer Advisor Johnny Jean, an information technology major, gathers a group of incoming freshmen to start his orientation tour of campus. Photo by Eduardo Merille. 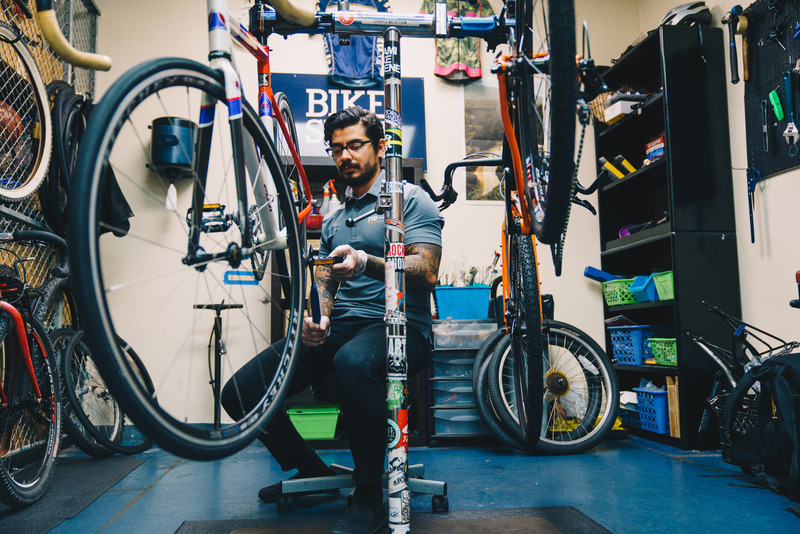 Anthony Garcia ’17 repairs a road bike at the FIU Bike Shop. The shop is the central location for all things bicycle on campus. Check it out on the first floor of the renovated Wellness and Recreation Center at Modesto A. Maidique Campus. Photo by Carl-Fredrick Francois. 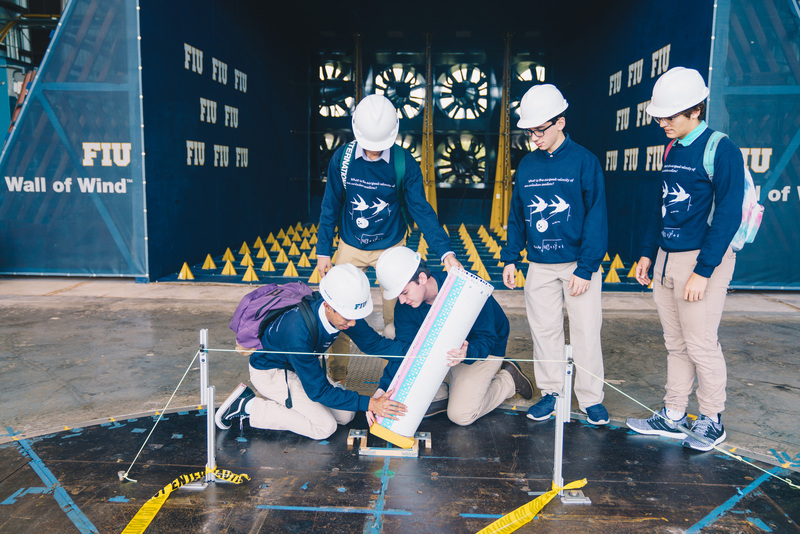 Students from Florida Christian School set up their model building in front of the fans for FIU’s annual Wall of Wind challenge, which invites local high school students to build scale model structures that test their engineering skills. Photo by Carl-Fredrick Francois. 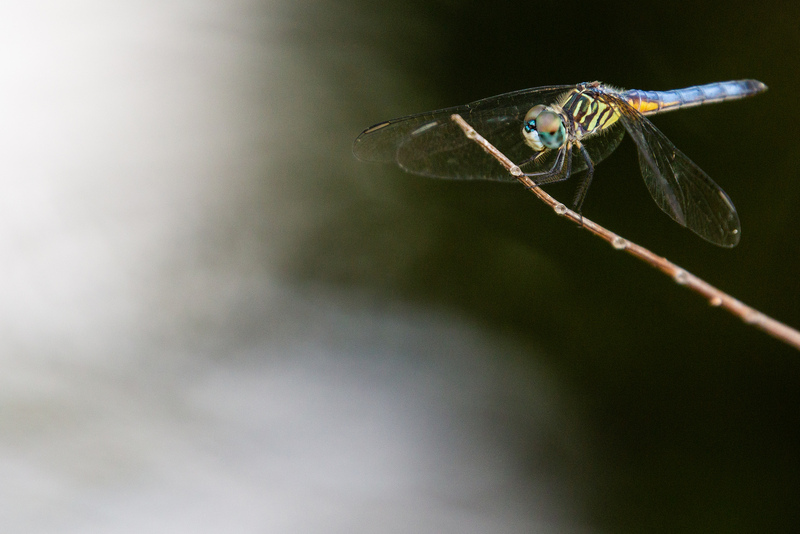 Take time to appreciate the awesomeness of nature this summer. It will impress you every time. Photo by Ben Guzman. Born in Bulgaria, Assen Andonov built his first airplane at the age of 13. Andonov is a commercial pilot and the founder/CEO of Assen Aeronautics. 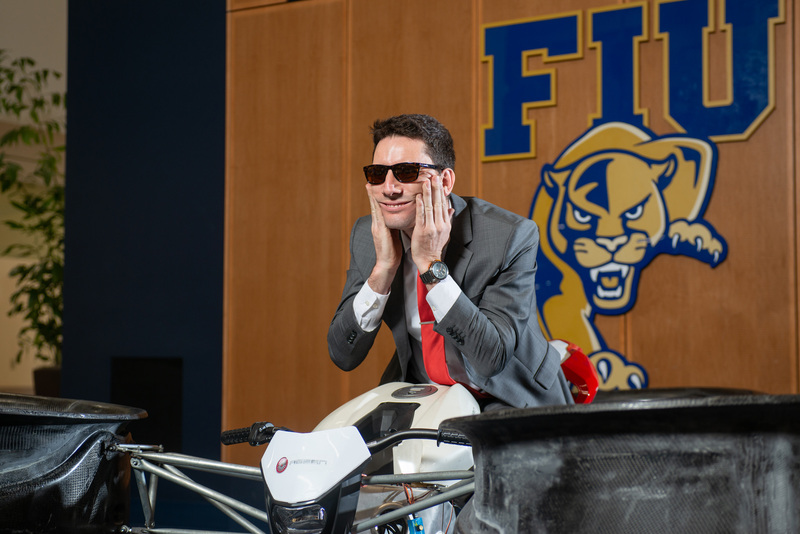 He, along with FIU students from electrical, computer and mechanical engineering, has created the Assen A1 prototype flying bike, which he displayed at the GC Pit last month. Photo by Ben Guzman. 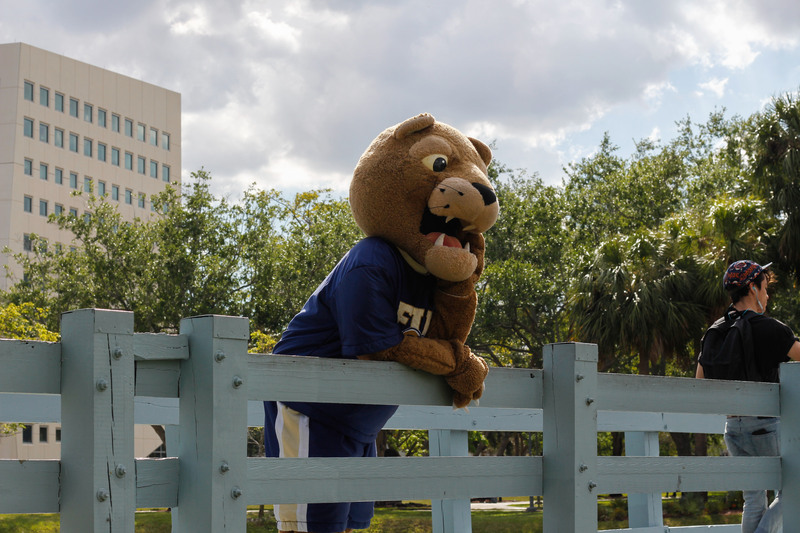 Roary waits for his perfect match on the MMC Kissing Bridge. FIU legend says if you kiss someone on this bridge you will spend the rest of your life with them. Photo by Tanvi Hathiramani.